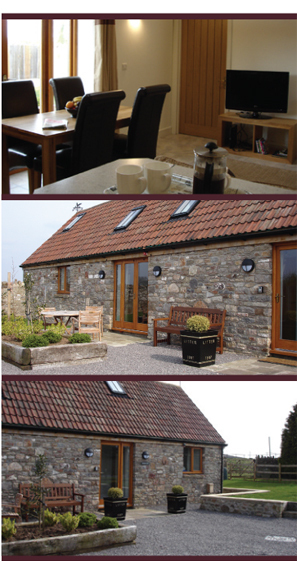 Our newest letting property is Cowship Barn. It has a bright beamed living room/dining area with wood-burning stove, French doors, tiled floor and fully fitted kitchen area. One bedroom has zip and link beds (either two 3ft twin beds or one superking at your choice) and ensuite bathroom with tiled floor, over-bath shower and toilet. The second bedroom has a kingsized bed with ensuite wet room with tiled floor, double basin and toilet. Changeover day is Friday and short breaks are available from November through to March.